The State of Illinois has declared September 11 to 17, 2016, as Illinois Rail Safety Week, in order to promote vehicle and pedestrian safety around railroad tracks and trains. 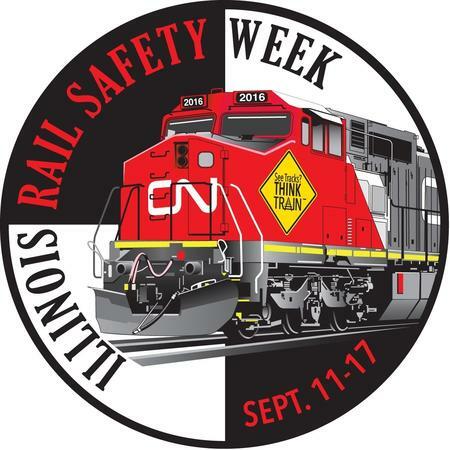 To promote rail safety awareness and education, the Downers Grove Police Department will be participating in Illinois Rail Safety Week. Enforcement details are planned throughout the week at various railroad grade crossings and commuter stations within Downers Grove to cite both drivers and pedestrians who disobey the laws associated with railroad grade crossings and railroad property. In addition, police officers will be distributing literature to the public that contains information on how to be safe around trains and train tracks. According to Illinois Operation Lifesaver, more than 50 percent of all collisions occur at crossings with active warning devices (flashing lights, gates, and ringing bells).